The Pontiac Firebird Trans Am was an iconic muscle car with a reputation for speed and flair. 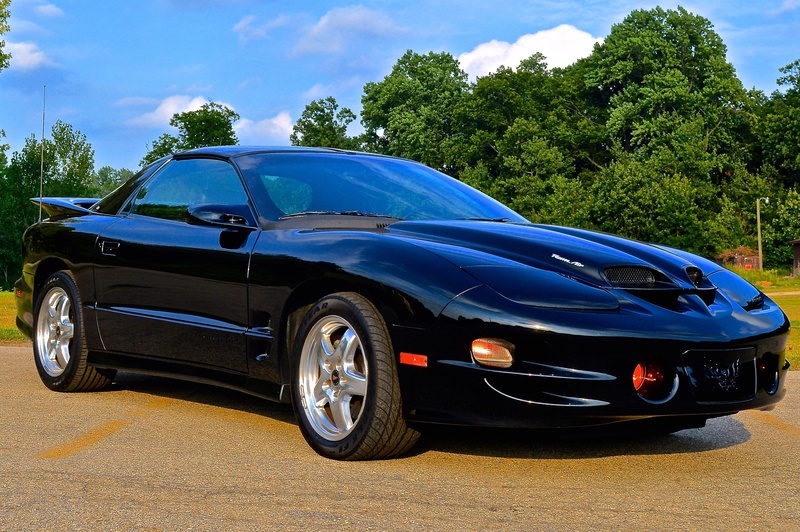 In 2002, the Trans Am’s final year of production, Pontiac powered its pony car with an 8-cylinder, 16-valve, 5.7-liter, 347-cubic inch engine called the LS1. Even today, restoring this all-aluminum engine block is a labor of love. As ls1tech.com, an automotive website, a mechanic shared a story that’s familiar to many do-it-yourselfers (DIYers). For surface finishing cylinder walls, there’s no substitute for BRM Flex-Hone® tools. Bearing bores are engine components that house the main bearings, mechanical elements with grooves for passing oil to feed-holes in the crankshaft. For optimum engine performance, bearing bores or tunnels must meet tight tolerances and have an oil-retaining surface finish. Line boring with a rigid hone is the right choice for bores that are out-of-round or that require significant material removal. To impart an oil-retaining final finish, however, automotive experts like MSB Tuning in Queensland, Australia recommend the “world’s best cylinder bore” – the BRM Flex-Hone® tool. Engine cylinders need a substantially smooth surface finish that’s free from cut, torn, and folded metal. Yet cylinder walls can be so smooth that engine performance suffers. Over time, the up-and-down movement of pistons creates an overly smooth surface finish. Piston rings skate along cylinder walls and fail to seat and seal properly. The “glaze” that forms can also prevent engine oil from adhering properly. The solution to these challenges is the Flex-Hone® tool from Brush Research Manufacturing (BRM). This Made in the USA glaze-breaker hone removes burrs, deglazes cylinder walls, and improves surface finish at the same time. That’s why bloggers like The Bug Boys use BRM Flex-Hone® tools for engine rebuilds. Camaro brake valves can confound even experienced mechanics. Part of the problem is that some of these valves are known by more than one name. For example, metering valves are sometimes called pressure regulator valves or hold-off valves in different GM publications. 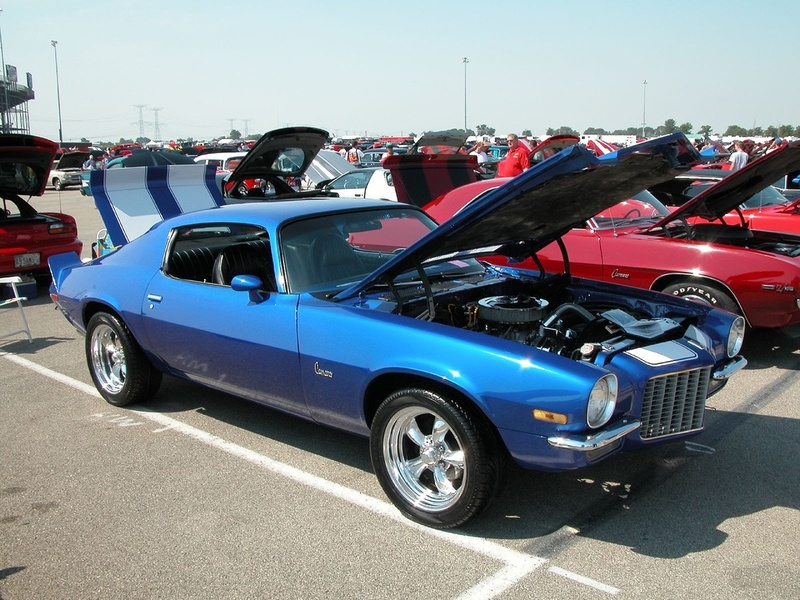 At Muscle Car Research, an on-line automotive community, a mechanic described a successful metering valve rebuild for a 1970 Chevrolet Camaro. To impart the ideal cylinder surface finish, the brake mechanic used a ball hone – a tool that’s better known as the BRM Flex-Hone®. Made in the USA by Brush Research Manufacturing (BRM), the Flex-Hone® tool has its share of nicknames. Yet no matter what you call this flexible honing tool, you can improve cylinder surface finish by following some basic guidelines. Porsche wheel cylinders support braking in sportscars that pack plenty of power. 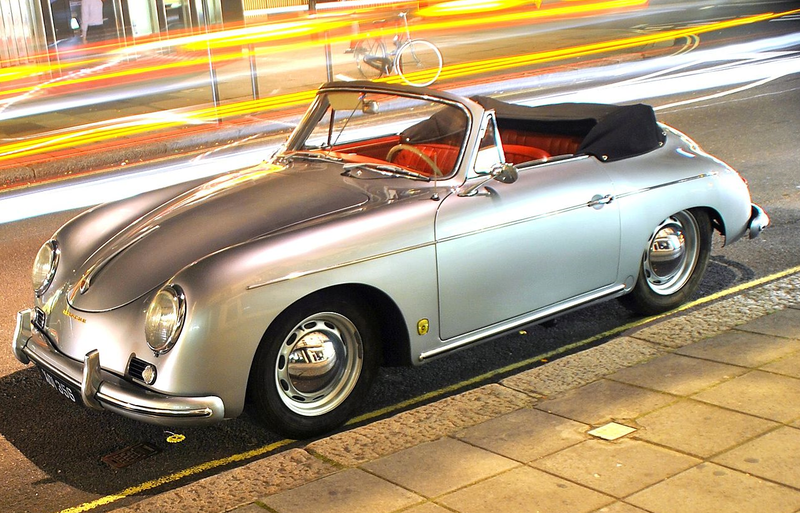 In classic cars like the Porsche 356, these cylinders have pistons that are connected to brake shoes. If a wheel cylinder lacks the right surface finish, however, more than just piston ring sealing can suffer. At the Porsche 356 Registry, an on-line community, the owner of a Porsche 356B asked for advice about honing brake cylinders. A few users suggested honing stones, but a German mechanic recommended the Flex-Hone® tool from Brush Research Manufacturing (BRM). Honda D-series engines once powered compact cars like the Honda Civic. These four-cylinder aluminum engines were fuel-efficient and lightweight, but could be modified with high-compression pistons for increased power and performance. At D-series.org, an on-line community for Honda enthusiasts, the owner of 1991 Honda Civic explained how he bought a 1.5L D-Series engine after the original powerplant “died”. The engine rebuilder inspected each cylinder and then asked for advice. “Everyone said that good honing will take care of the rust and anything else left in the bore,” he said. To finish the cylinder walls, the DIYer used the BRM Flex-Hone® tool. The mechanic admitted he “had some doubts” about flexible cylinder honing, but using the tool made him a believer. Diesel Power magazine provides professional diesel mechanics with in-depth examples of engine rebuilds. Do-it-yourselfers (DIYers) also read the world’s largest diesel magazine for tips, techniques, and recommendations about engine tool selection and use. 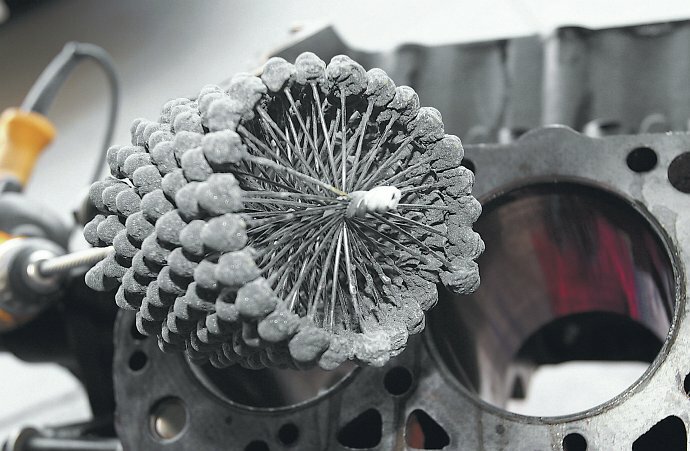 In an article entitled Rebuilding International’s 7.3L IDI Engine Heads and Crank, Diesel Power described what the author called “the key” to a good engine rebuild – the Flex-Hone® tool from Brush Research Manufacturing (BRM). These flexible cylinder hones impart an oil-retaining surface finish that promotes piston ring seating and sealing in big diesel engines like the International IDI. 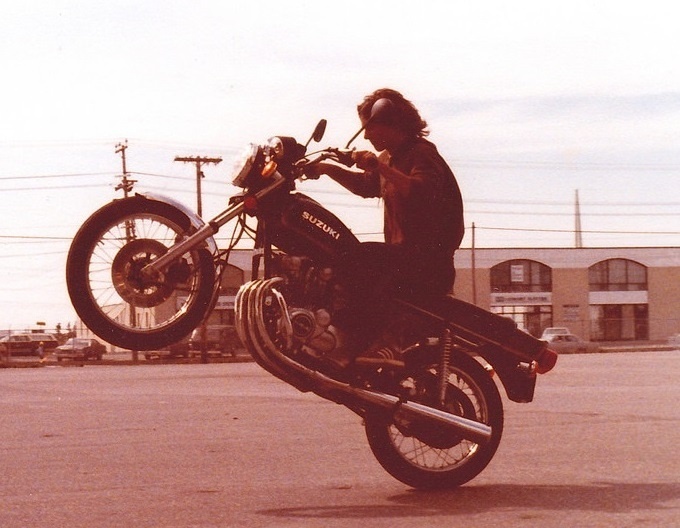 Suzuki GS-550 motorcycles first hit the roads over 40 years ago. The bike’s original four-stroke engine was an air-cooled, 549-cc powerplant with dual overhead camshafts. The 674-cc Suzuki GS-650 eventually replaced the GS-550, but some bikers are still rebuilding Suzuki’s original engine blocks. 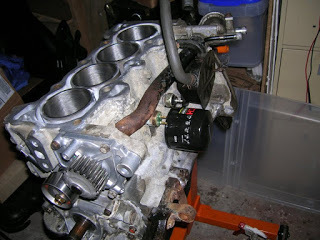 At Do the Ton, an on-line forum for motorcycle mechanics, a user described a GS-550 engine teardown and rebuild. Cylinder resizing requires rigid honing, but achieving an ideal final finish means using Flex-Hone® tools from Brush Research Manufacturing (BRM). Slotted brake rotors contain machined grooves that help dissipate the heat that’s produced by braking. In racing, motorsports, and even regular driving, friction causes a layer of gas and dust to form between the brake pad and the brake rotor. Over time, this material transfer layer can impede performance. Slotted rotors help to reduce friction, but surface contact between pads and rotors eventually requires rotor resurfacing. For optimum brake performance, brake rotors require a non-directional or “basket weave” finish that’s free from deposits of brake pad material. 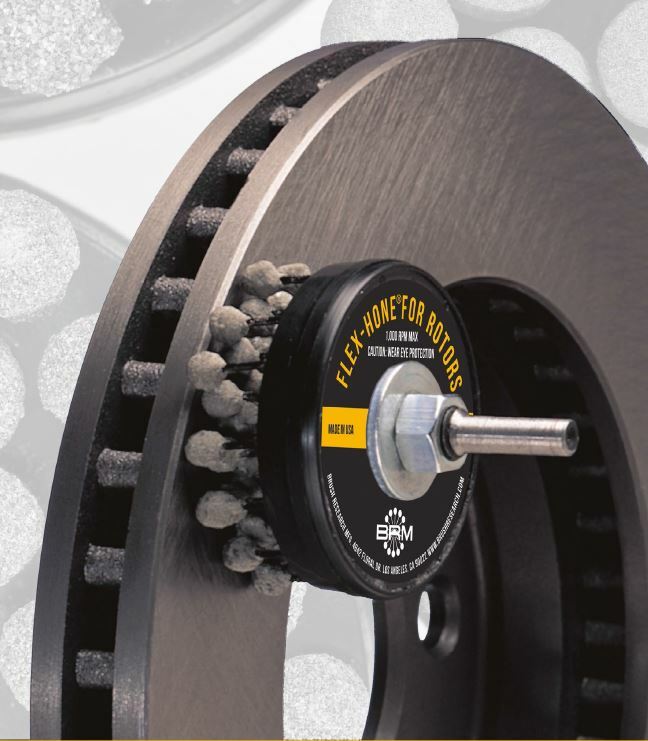 To achieve this ideal finish, a do-it-yourself (DIY) mechanic recently tried the Flex-Hone® for Rotors tool from Brush Research Manufacturing (BRM). The racer who requested the resurfacing hadn’t heard of BRM’s rotor hone before, but the mechanic who used the tool gave it a thumbs-up. The Brush Research Manufacturing (BRM) Blog is ending the year by looking back at how we’ve helped readers find solutions to surface finishing challenges in 2017. 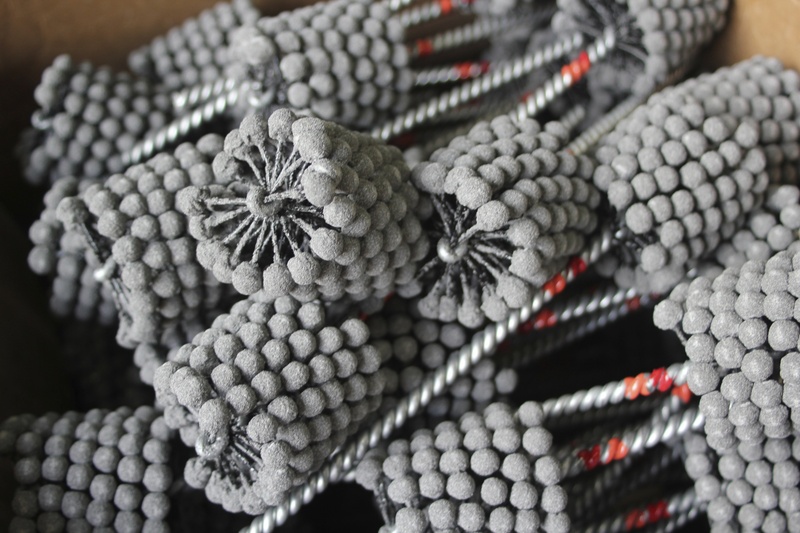 As a full-line manufacturer of flexible honing tools and industrial brushes, we’ve covered a variety of topics. Here are our Top 7 Blog Posts for the year.